I am a voracious, if slow reader. I may spend as much as 8 hours in a day just reading. That doesn’t happen every day, maybe 1 in 7; however I always want to have a good reading library at hand at all times. However, books take up space and don’t seem to like the warm, moist climate most of us choose to cruise in. There are a lot of woman cruising these day. That’s a good thing. The downside is that the book exchanges seem to be over-stocked with Chick-Books. 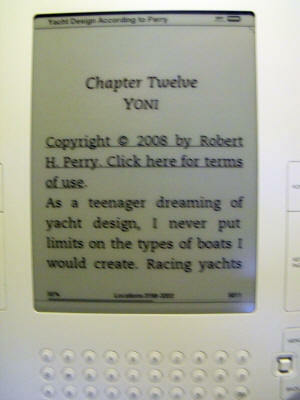 Men on cruising boats seem to be Sci-Fi readers. Those two observations don’t produce a lot of books that I want to read. So I’ll keep participating in book exchanges, but I need another source of reading material. In July, 2009 I purchased a Kindle II from Amazon.com as potentially that other source. In April, 2012 I purchased a second Kindle when the Kindle II died. The descriptions and critiques of the Kindle in the rest of this web page represent my over 3 years of experience (as of 2012) with the Kindle product. During that period there have been firmware upgrades to the Kindles and there are differences between the two Kindles I have owned. Although much of the text below may reference the Kindle II, I've attempted to keep this web page up-to-date with my experience. The Kindle is an eBook device from Amazon.com. It provides storage and display of hundreds of books, periodicals and documents. Books and periodicals are purchased through Amazon.com, documents can also be from your computer. It is an amazing device. This is the Kindle II, which has a 6" diagonal screen. 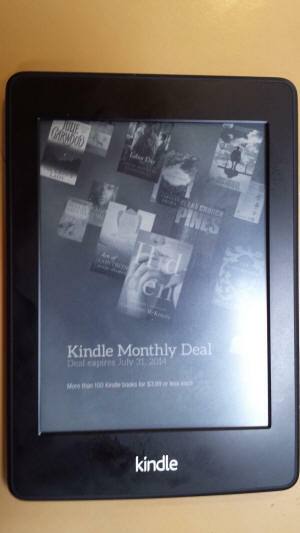 Amazon.com also offered the Kindle DX, which has 9.7" diagonal screen and allows your to rotate the display between portrait and landscape orientations. I decided to go with the II rather than the DX primarily because the DX is almost $200 more expensive ($489 vs. $299). I wasn't sure how good the market was for these devices on eBay should I decide it wasn't really what I need. As of the original date I created this page I had owned the Kindle for only a short time. In that time I'd read two books. Actually that's really not a short time as I'm a really sloooow reader. It's been about a month. I'll use this page to document my experience with the device and my evaluation of how well it meets my needs. My Kindle will be a repository for those books and documents that are not generally or immediately available from book exchanges, fellow cruisers or English language books stores overseas. Most of the Kindle titles will be non-fiction which is poorly represented in book exchanges or books on subjects in which I am particularly interested, and I don’t want to wait until a title shows up in a book exchange. Also I may purchase books from my favorite authors shortly after they are initially published. The Kindle will also reduce the physical size of my book library in a similar way the iPod reduced the physical size of my music library. When I depart on my next cruise I will load up the Kindle with books of this kind. I will still frequent book exchanges and English language book stores and will maintain a small library of paper backs and hardbound books on board. Given my limited experience with this device (less than 6 months) one shouldn't take my list of Pros and Cons too seriously at this time. However these are my observations at this moment. BTW, if these observations and opinions are not correct or ill-informed, I would appreciate hearing from other Kindle users to correct the lists. PROs, not necessarily in order of importance. Very easy to use and easy to read. I have found the Kindle very easy to operate. I can increase the font size to the point where I don’t need to use my reading glasses. The picture on the right is of my Kindle with the font set to a size I can comfortably read with my drug store glasses. I could actually reduce the font and still read this text with my glasses. Reducing the font puts more text on the screen and minimizes the number of time you have to change pages. Changing pages is the only time the Kindle uses battery power (other than when connected to the wireless network). Changing the Font Size I can increase the font size from that in the picture above. The current font is the medium size for the display. Now I have increased the the font to the second largest, which I can read comfortably without those damned glasses. The picture is a little fuzzy because I didn't hold the camera very still. It is not caused by the Kindle. (For me) Easier to read than a book, or maybe just easier on the book. The Kindle can be held and read with one hand. Books can be read with one hand until you need to turn a page. With a Kindle the page controls are on the left and right side of the unit, so no matter which hand you use to hold it you can turn the page with just the thumb on that hand. I'm right-handed so I do have to juse my other hand to backup a page. Using the menu (turning to the Table of Contents, or to a bookmark) does require both hands. Of course the twitter-generation will probably figure out a way to do that with one hand. I can lay the Kindle flat on a desk or table and still read it with no hands and not lose my place. This is useful when I'm using a reference book to aid in doing something else (e.g., working with a computer program). With a book I usually have to place a weight on the pages to keep it in one place (unless I've already broken the back of the binding). I wish more of the technical references I use in computer work were available on the Kindle (although this has been mitigated by Kindle support for pdf format documents). Also, when reading a book on the Kindle I don't risk breaking the binding when I put it down temporarily. Usually I just lay the book open-side down to save my place, which puts pressure on the binding. Nor do I have to dog-ear a page to save my place. I try to use bookmarks, but they never seem to be within reach when I want to put the book down. Long battery life (if wireless turned off). I don't really know how long it will last. I usually plug it into an outlet after having read a book. With the wireless on the battery appeared to run down in about 3 or 4 hours, but I didn’t keep track. I only turn on the wireless when I need to access the Kindle Store. Huge library of books available. I think Amazon.com is currently (2009) offering over 300K titles. Reasonable price on books. Most current edition books sell for $9.99, cheaper than the paper back version at most bookstores. Around 2010 Amazon.com raised the price on most recently published books to $12-$15. In October, 2012 Amazon.com announced there would be small refund to many Kindle users because of a law suit won by several States Attorneys that was initiated, at least in part, because of the price increases forced by publishers on books sold for the Kindle. I won't know for awhile how much of a refund I will be getting, but I purchased a lot of books between 2010 and 2012. Can be read in direct sunlight. The screen is not an LCD, it does not depend on backlighting. Don’t need to use the PC or MAC to order/download books. 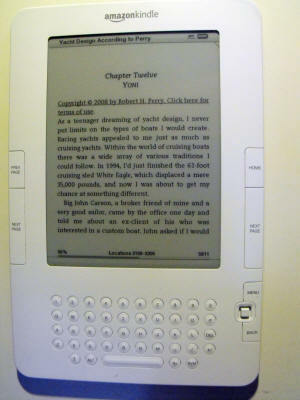 The Kindle is a wireless device and will connect directly to the Kindle Store. The Kindle can hold many documents at one time. It will hold over 1,500 books. I expect to be able to load it with enough books to provide reading material for a 1 year cruise or longer. Works that have been read can be archived to Amazon.com and retrieved to the Kindle at a later date. No need to clutter up the index with books I have already finished, but I can always go back and read them again. Books can be purchased Worldwide. In recent (December, 2009) advertising Amazon.com has stated that books now can be purchased and downloaded worldwide. When I purchased my Kindle it was restricted to wireless connections from within the USA. Turns out it still is. The Amazon.com advertisement is for a different product Kindle(Global Wireless) and my Kindle has now been re-branded as Kindle(U.S. Wireless). The Kindle(Global Wireless) is a new product targeted for customers outside of the USA or US residents who frequently travel outside of the USA. However through the Kindle for PC software described below, I found I can purchase reading material outside of the US. It just takes a few extra steps. In 2010 the product offerings were upgraded to offer a WIFI only version and a WIFI/Wireless version. The wireless version works globally, but additional charges for purchases outside of the USA may be incurred. Multiple Kindles on a Single Account. You can have up to five Kindles on a single Amazon.com account, all of which can concurrently read any of the books in the account. Thus a family or group can share their Kindle books. 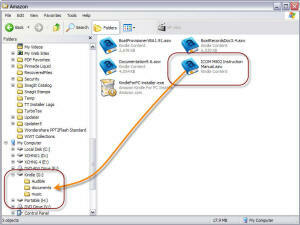 Can Display Documents in Other Formats. You are not limited to just the documents and books purchased and downloaded from the Kindle Store. With the latest version of the Kindle firmware (2.3) The Kindle will display documents in a number of different formats, the two most useful for me are pdf and MS Word. When I learned this I quickly transfered a couple of pdf files on my computer to my Kindle (see below). However the pdf files were not listed in the Kindle Home Page. Checking back on the firmware update announcement I found the small print. Although the firmware update will take place automatically when I connect my Kindle to the Kindle Store, not all Kindles will be updated at once. That took a few more weeks before my Kindle was updated and then I could upload pdf files and read them on my Kindle. I can also display these documents on my Kindle by converting them to the Kindle format. This does involve a few more steps. Solves the John Sanford "Problem". As I stated above I am a prolific, if slow, reader. I have many favorite authors and tend to buy any book they write. My favorite authors include Elmore Leonard, John Sanford, Harlan Cobham, and many more. When I was buying printed books on more than a few occaisions I purchased a book I had already read, but didn't remember. This was especially prevalent with the John Sanford "Prey" books. Every title has Prey in it and they are hard to differentiate. I remember purchasing one of these books for a long plane ride thinking I would have something to occupy myself for the next 6 hours only to discover after reading a few pages that I had read the book. I had to spend those 6 hours watching inane movies and reading the airline magazine. Thanks, John Sanford! A few years after buying my Kindle I purchased another one of those "Prey" books, again thinking it was something I had not read. The Kindle store warned me that I had already purchased that book and I did not waste money on a duplicate purchase. Thanks, Kindle. Cannot be read in the dark. The Kindle does not have a backlight on the screen, which partially accounts for the long battery life. If I want to read a Kindle book in the cockpit at night I will have to wear one of my head lamps. For night watches, in the past, I've used audio books on my iPod. I can listen to a book being read while performing the normal watch functions. The Kindle does have an audio capability - an electronic voice, which I have not tried. I understand the audio runs down the battery pretty quickly. However, audio books are pretty expensive on the iPod, so I will likely give the Kindle audio capability a good test in the future. Recently, Amazon.com has been spinning the lack of a backlight as a positive thing, citing a medical study reported in the LA Times that found reading with a backlit device just before going to sleep contributes to insomnia. Amazon.com is the only source of books. A huge library, but still one source (see the Orwell Fiasco, below). Amazon.com has announced that in late 2011 Kindles be able check out eBooks from some public libraries. I'm not sure if my Kindle II will have that capability. Probably requires the WIFI feature, which is not part of the Kindle II configuration. Graphics are difficult to view. This not a good medium for books that are richly illustrated with detailed graphics. There is a zoom feature, but on the initial books I have read with detailed graphics the zoom did not provide sufficient enhancement. 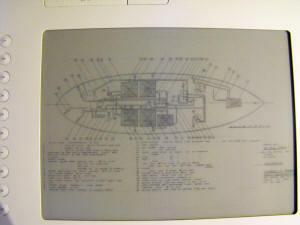 The picture on the right is from the Robert Perry book on yacht design. This is a graphic rich book, with line drawings of many of Mr. Perry's designs. 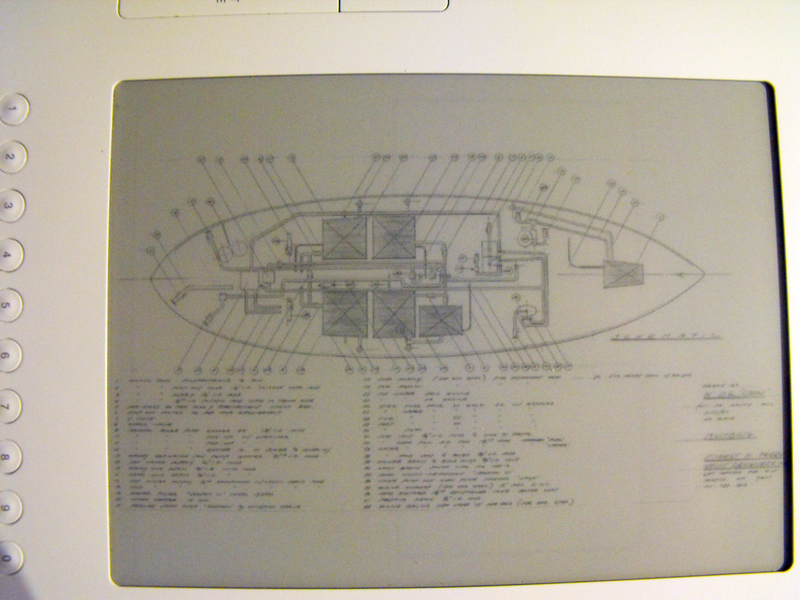 These are the kind of graphics sailors, like myself, love to gaze at for hours and investigate all of the detail. Not much hope of that on this screen. Zoomed Graphics The Kindle does have a zoom capability, but there is no capability to magnify the graphic larger than the screen and then pan up and down with scroll bars or the cursor to view the graphic in detail. 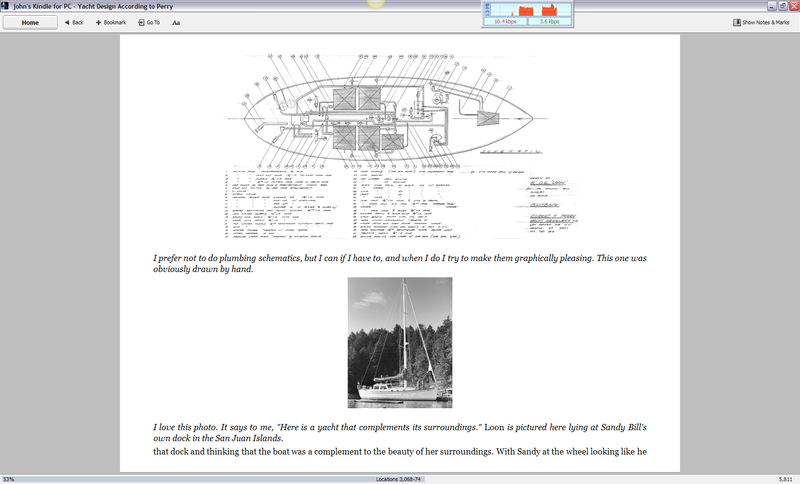 The picture on the left shows the graphic from the Perry book zoomed to fill the screen. It is still of no value. Of course I don't own the printed version of this book. Maybe the graphic was unreadable in that format as well. I should have saved my money on the Perry book. Coffee-table books are not a good choice for the Kindle. Still I enjoyed the narrative, this is a very interesting book for we sailors. It does not appear that the Kindle will replace any of the physical books in my on board reference library. The “Orwell Fiasco”. In July, 2009 Amazon.com discovered that the publisher from whom they obtained copies of many of the works of George Orwell (e.g., 1984) did not actually have the rights to those works. Another publisher did. Amazon.com handled this situation in precisely the opposite way it should have been handled – they made it their customers' problem. Amazon.com deleted the works from the accounts of those who had purchased the works and refunded the purchase price, without notifying anyone of the issue. These works suddenly disappeared from those persons' Kindle the next time they connected to the Kindle Store. All annotations made by the users to those works also disappeared. For some people those annotations were the basis of a thesis or student paper they were preparing. The proper way to have handled this was for Amazon.com to negotiate with the two publishers to protect the rights of the customers who purchased the works. If that failed then notify the users that within x days the rights to those works would be rescinded so they could preserve any notes and annotations made on their Kindle. It would appear Amazon.com management let their lawyers dictate their actions – always a sign of poor management. This incident happened a few weeks after I purchased my Kindle. If it had happened before that purchase I would likely not own a Kindle for some time, if at all. Amazon.com has promised to handle this type of situation differently in the future and not remove any book from a persons account without first notifying them. The device was expensive. This is no longer a CON as the Kindle pricing has been dropping steadily since 2011. My Kindle II cost $300 – a fairly expensive, if tiny bookshelf. The price later (December, 2009) was $260. In 2011 the price dropped to $139 with advertisements on the screen saver or $189 with no adverts. In Oct, 2012 I noticed that Amazon.com was selling a WIFI only Kindle for $69. For me that price eliminates cost as a negative feature of the Kindle. As a matter of fact I'm planning to buy one of the WIFI only Kindles as a backup device as I continue to drop the Kindle when I fall asleep reading. You cannot share (i.e., exchange) books with other Kindle owners. No Kindle swap meets. So nearly every item on the Kindle will cost at least $10 (in 2009). There are a number of Public Domain works that are free, but other large books may cost more than $10 (e.g., the Perry book on yacht design). There was a general price increase to around $12 in 2010, but it appears in 2012 that at least a protion of that increase has been rolled back. I did recently learn from another Kindle user that there is a limited sharing ability with the Kindle - within a single Amazon.com account. Each account can have up to 6 Kindles, each of which can concurrently read any of the books purchased in the account. So sharing is possible within a family or group, but not with strangers (unless you want them to have access to your account). In 2011 I learned that some books can be loaned to other Kindle users that are not on the same account. Currently (2011) that loan is limited to 2 weeks, and only for books whose publisher allows it. Very few of the books in my Kindle library can be loaned out. Battery Meter Not Reliable: Although the battery discharges very slowly (when not online), the little meter at the top of the screen that is supposed to show the amount of charge remaining is not very accurate. On several ocaisions I have started reading with the meter showing the battery was only half-discharged, then less than 10 minutes later I get the warning that the battery is nearly dead and must be recharged. I suspect that the meter takes several minutes of operation before it registers accurately. I have lots of other battery-powered electronics whose meters are accurate within a few seconds of operation - e.g., my Sony and Fugifilm digital cameras. This may be a function of the batteries chosen for use in the Kindle II, which may have been dictated by the Kindle II form factor. I have not noticed this problem on the second Kindle I purchased when the Kindle II died. Not Indestructive: I have a tendency to fall asleep when reading. With a book this meant dropping the book on the floor and losing my place. At worst the book back is broken, but it still can be read. With the Kindle I'm dropping a piece of electronics. The Kindle is a reasonable well-made and durable product, but it was not designed to be dropped reapeatedly on the floor. Often the plastic backing on the top of the Kindle would pop off. Initially I could just push it back on, but then one time something was bent or deformed when it hit the floor, and the backing would not seal up with the front of the Kindle. The picture on the right shows the gap between the front and back of my Kindle II. The Kindle still works just fine, but I'm sure this gap will allow moisture and dirt to work its way into the electronics and a failure is not that far off. Oh well, the newer Kindles are cheaper, smaller and lighter than my Kindle II, so I may buy myself one for Christmas or my next birthday. Carpal Tunnel Syndrome? : I'm not sure if this has anything to do with the Kindle, but in 2013 I started get some pain in both of my thumbs. In the picture on the left I am holding the Kindle as I normally do with my left hand. My thumb is pressing lightly on the Kindle to keep it pinned between my thumb and my index finger. I also hold it this way with my right hand. The constant pressure with my thumbs may have pinched nerves causing the pain. The pain is not severe, just very annoying. I have started trying to hold the kindle in my palm or laying it flat on a surface; however holding the Kindle as shown in the picture is the natural way for me and a hard habit to break. In Nov , 2009 I downloaded the Kindle for PC application. 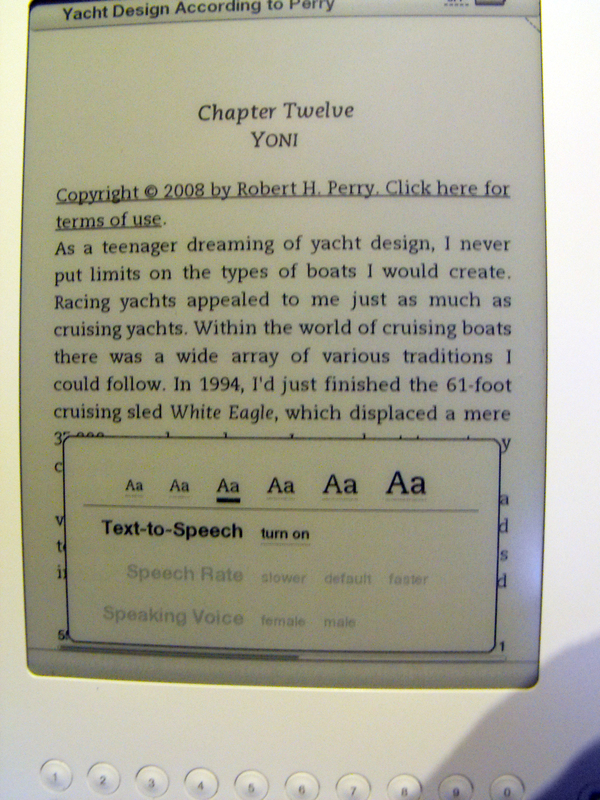 This program replicates the Kindle on a PC screen and is synchronized with my Kindle library. 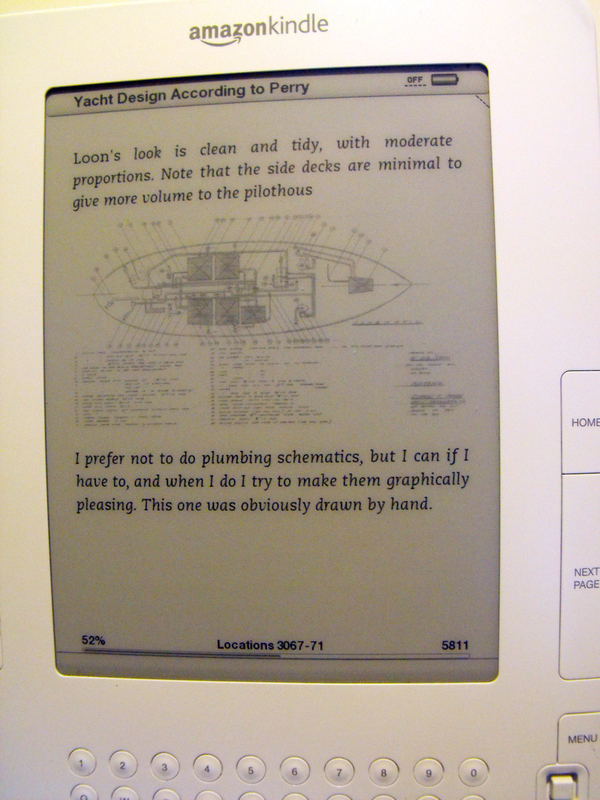 The first book I opened with Kindle for PC is the Robert Perry book whose illustrations were all but unviewable on the Kindle II. 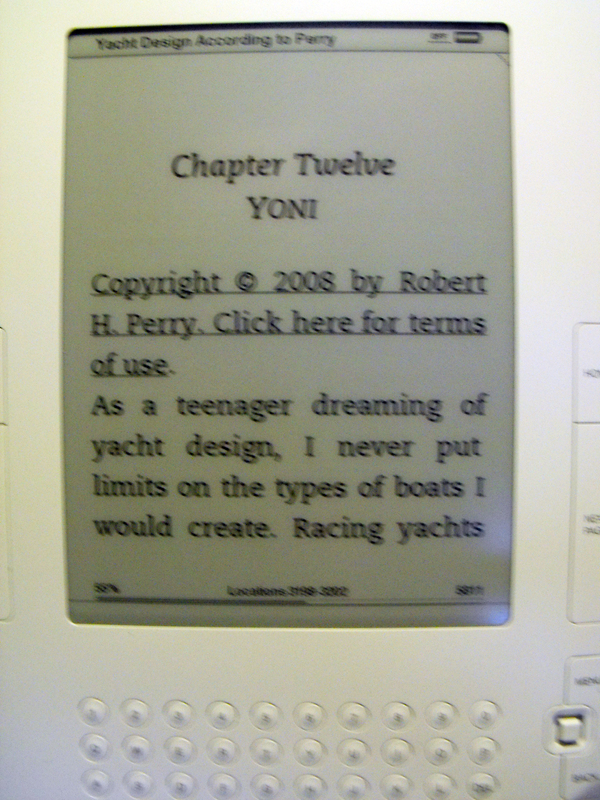 This screen capture on the left is of the same page as shown on the Kindle above. The monitor on this laptop is fairly large (1680x1050) and when the program window is maximized it appears at least as wide as a large format coffee table book. Since I don't have the original printed book for comparison, I'm only guessing on this. In any case I can now see the detail in these drawings that was lost when viewing them on the Kindle II. Amazon.com is also promising to provide a zoom capability to Kindle for PC. 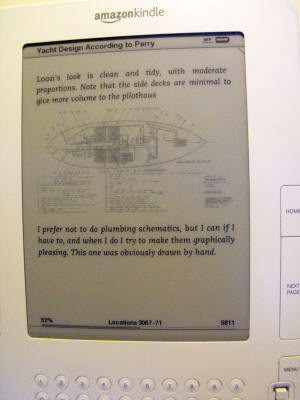 That tool would undoubtedly remove any differences between the graphics in the printed edition and the e-book edition. It actually might provide more detail than the printed edition. Kindle for PC will also allow me to purchase and read books while I am out of wireless phone range and I cannot access the Kindle Store with the Kindle II. In December, 2009 I started experimenting with transferring documents from my PC to my Kindle. There were a number of reason I want to be able to do this. 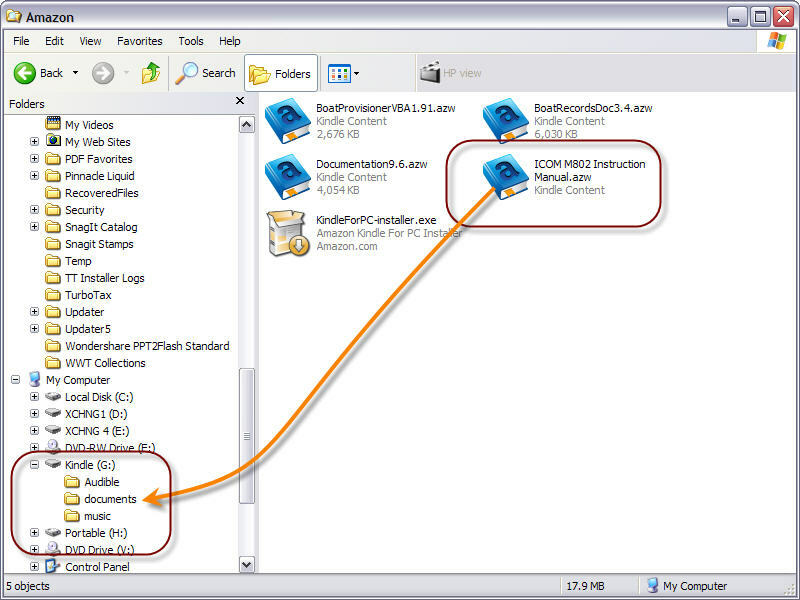 To convert documents from their native format to the Kindle format. Connecting Kindle to My PC One thing the Kindle appears to have copied from the iPod is the use of a single cable for charging from an AC outlet and for connecting to a PC USB port. In the picture on the left I have removed the AC plug from the cord, which reveals the USB plug, and I have connected the Kindle to my computer. When the Kindle is connected it goes into USB Drive Mode and acts like another USB drive to the computer. As the screen caption in the picture on the right says, I can use the Kindle to read documents while connected by ejecting the Kindle drive on my computer. Then the Kindle can be used while it re-charges the battery via the USB port. However, I want to transfer documents to my Kindle, so I'll leave it connected as a USB Drive. Kindle as Drive G: on My PC On my computer the Kindle appears as Drive: Kindle(G) at the bottom of the Windows Explorer screen capture on the left. There are three folders on this drive, Audio, documents and music. At this time I am only interested in the documents folder. That is where the Kindle documents reside. 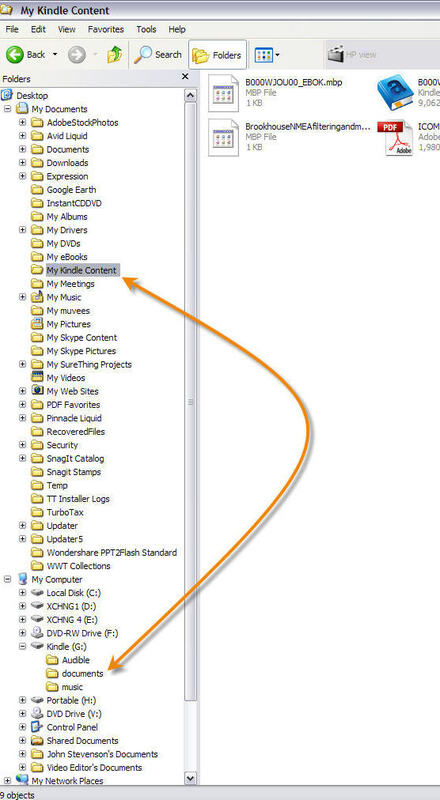 At the other end of the arrow is the folder My Kindle Content under the My Documents folder. 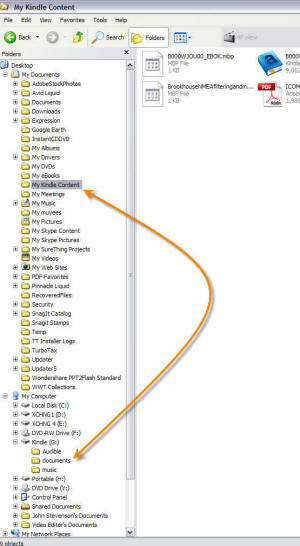 This folder contains the documents that are currently being used by the Kindle for PC software. I can add or remove documents from both my Kindle and the Kindle for PC software by dragging and dropping them between folders on my PC. However, until my Kindle firmware is upgraded to version 2.3 the only documents I can view on the Kindle are those in Kindle format. So for now if I want to be able to read a pdf document on my Kindle the document must first be converted to Kindle format. Fortunately Amazon.com provides a free conversion service for most of the common formats. There is a charge to download a converted file to the Kindle via the wireless connection ($0.15/MB I believe), but this charge can be avoided by downloading the converted file to the PC and then uploading it to the Kindle. Each Kindle registered with Amazon.com has a unique identifier. That identifier appended to @kindle.com provides the email address for the Kindle device. When an email sent to that address with a file attached (or a zip file containing multiple files) Amazon.com will convert the files (if possible) and place them in the Kindle account for download on the next connection. There is a fee for this service. There is an alternative address @free.kindle.com, which provides the converted file for download to the PC rather than directly to the Kindle. 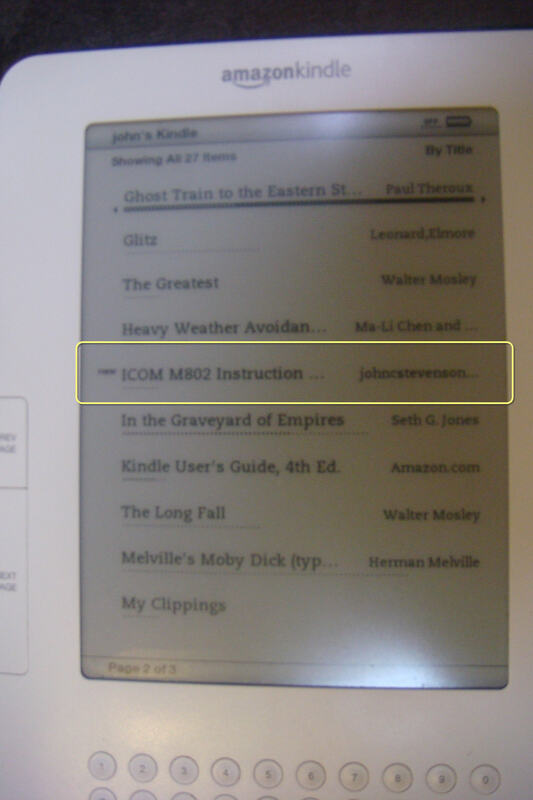 In the email on the right I have sent a copy of the ICOM M802 SSB Radio manual to the free conversion address. Link to Converted Document Received Via Email After the conversion process was complete I received the email on the left which contains a link to download the converted file. Once the file has been downloaded I can then use Windows Explorer to drag and drop the converted file to the documents folder on the Kindle drive. Converted Document in Kindle Home Page After I ejected the Kindle from the PC the ICOM manual now appears in the Kindle home page. I can read the manual on my Kindle. This manual was originally in a PDF format, but the Kindle conversion can handle many formats. On some of my own PDF documents I've found the conversion process is not very clean. This may be due my using a PDF file creator from other than Adobe. 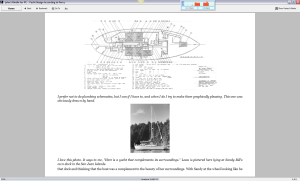 The Kindle conversion process does an excellent job with the original MS Word documents from which I created the PDF files. While the current firmware in my Kindle can read PDF files in their native format, they are much more readable if converted to Kindle format. After over 2 years of using the Kindle II, I would never give it up except to purchase a newer, better eReader. Most likely that would be another Kindle as the PROs definitely out weigh the CONs for me. I have no interest in a color eReader (with a backlit display) nor a multi-function display such as the iPad. I might buy an iPad, but not as a replacement for my Kindle. In 2012 the Kindle II died and I did purchase another Kindle. My repeatedly dropping the Kindle when I fall asleep reading has finally taken its toll. On April 26, 2012 the Kindle stopped working. The display shows a corrupted screen saver as shown in the picture on the right. Unit will not turn on. I have been expecting this and long ago decided I would buy another Kindle rather than go the Nook, iPad or Sony route. I'm not interested in a multi-purpose, color eReader, such as the Amazon Fire. My only decision was what Kindle model to go with. I could save a few bucks by going with a Kindle that was only WIFI connected or only Wireless connected. I spent a few more bucks and bought the model that has both connectivity options. I also went with the keyboard version rather than the touch screen version. I'm not a touchy-feely kinda guy. The keyboard version has a larger form factor than the touch screen version, but the screen is the same size. I guess this will be my birthday present to me for my 70th. New Kindle Display The new Kindle does have an improved screen display. 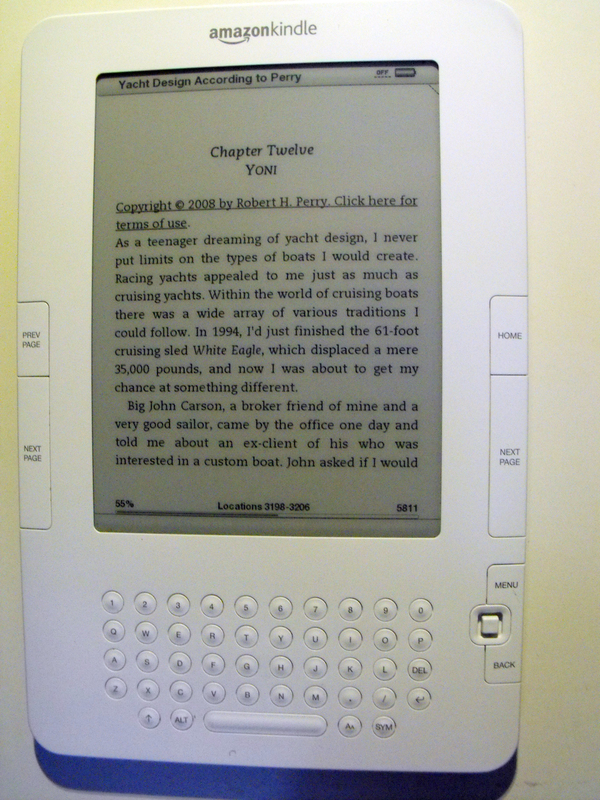 The old Kindle display was excellent, but the display on this Kindle appears even a little more crisp. However the graphics display is not significantly improved. On the right is a photo of the same zoomed graphic from the Robert Perry book described above. It looks about the same. One difference between the old Kindle II and my new Kindle is the new Kindle displays advertisements when the Kindle is turned off. That would not be a problem except Amazon.com insists that these advertisements be updated on a regular basis, which requires turning on the wireless connection. If I don't activate the wireless myself, the Kindle will do it for me, even while the device is turned off. The real problem is the Kindle doesn't turn the wireless off after it has downloaded a new set of advertisements. 24 hours of active wireless will run down the battery significantly. On several occaisions I have turned on the Kindle to read the active book only to discover the battery is dead and I have to charge the Kindle. Not a really big deal, as I can read the Kindle while it is charging, but just another way Amazon.com can be very annoying. That second Kindle lasted only a little over 2 years. 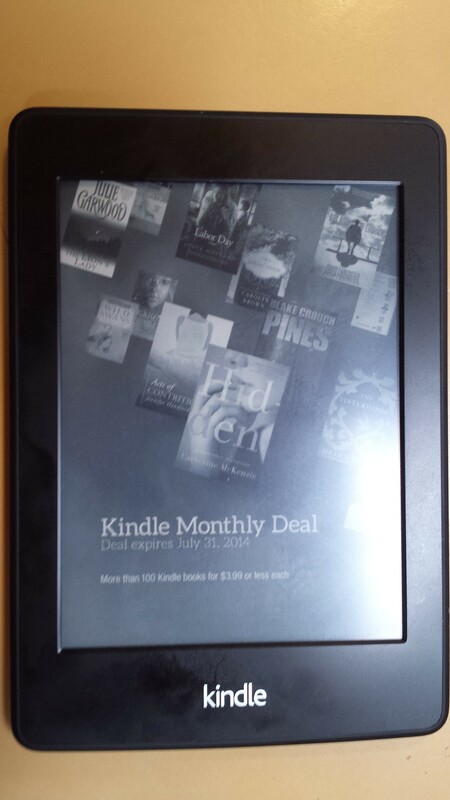 In July, 2014 the display on the Kindle went bad. I tried the reset process several times, but the screen would not display. So I went to Amazon.com and looked for a replacement.. The cheapest model was only $80, but I elected the one with the new paper white display. I also went with the WIFI-only model. The new Kindle is shown on the right. This model also does not have a keyboard. It took a little getting used to, especially the touch screen, but I'm reasonably happy with the new reader. The only drawback is the WIFI adapter in the Kindle seems to be a little weak. The Kindle will not connect to the marina WIFI, with which all of my other devices have no problem. I have long resisted purchasing a SmartPhone of any brand. I jokingly told friends I did not want a phone that was smarter than I. Actually I am prejudiced against multi-function tools. For a phone I only want it to send and answer phone calls. I have several cameras for when I want to take a picture and I have a PC for when I want to do some computing. Finally in 2013 I realized that the current generation of SmartPhones can do many of those functions better than many single purpose device. At this time my Sony pocket camera was showing its age and needed to be replaced. Since my existing cell phone was on a month-to-month basis it looked like a good opportunity to puchase a new phone and camera as a single item. I purchased the Samsung Android phone from Verizon as a replacement for my existing phone. I already have a data plan with Verizon for my Hotspot router so this was easiest way to add a phone to that data plan at minimum cost. One of the first aps I added to the phone was the Amazon Kindle ap. Now I can read my Kindle books on my SmartPhone as shown on the right. The display is not as crisp and clear as that on my Kindle, but it is satisfactory.